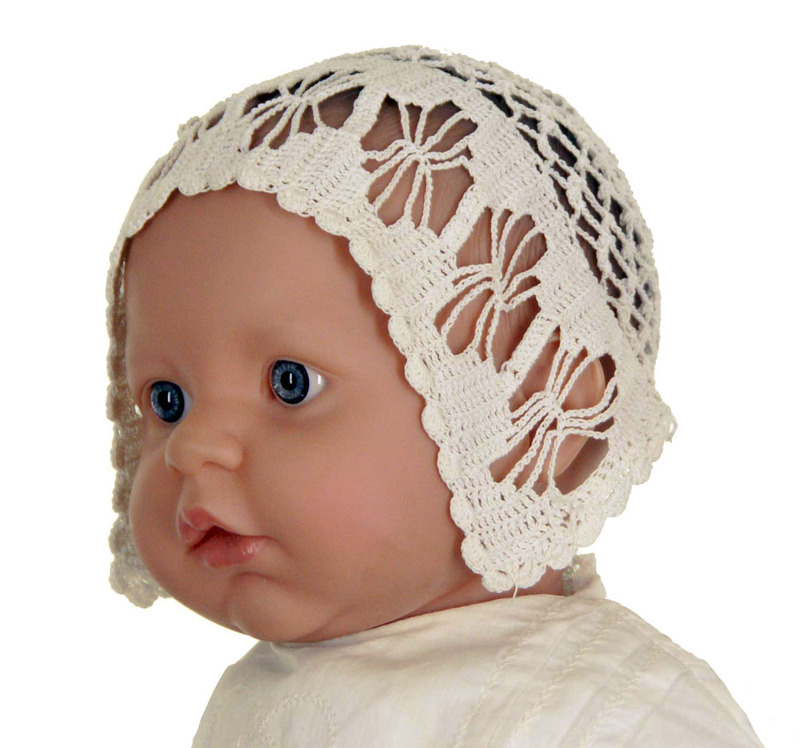 This bonnet was photographed on a doll with a 15" head circumference. 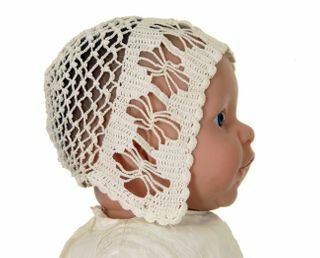 It would also fit up to 16" head circumference. The bonnet can be worn with or without a vintage silk ribbon, which will be included, to tie under the chin.